PLEASE READ BEFORE SUBMITTING!!!!!!!!! - NOT PICTURES OF SOCKS IN THE LOGO. Hi! 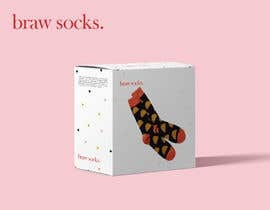 We are a new funky socks company specialising in streetwear style socks for fashion forward, streetwear lovers! 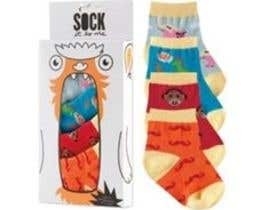 We are looking for a logo and package design for our socks. We would like to be, as much as we can, environmentally conscious with our packaging but also, at the same time have a cool, quirky and stand out brand image. We would like to appeal to young females however want to stay away from the traditional &amp;quot;pink and girly&amp;quot; theme. Something more grungey would work well for us. 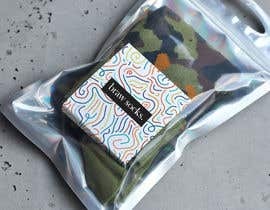 We like the idea of the clear package with some design around it as seen in one of the pictures as the socks will need to be packages individually. I have attached some images of branding we link to give an idea of the style we are looking for. 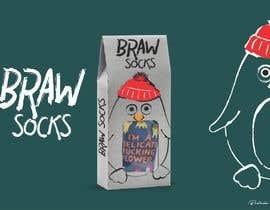 The name of the brand is Braw Socks. We will be looking for long term branding so the winner has the potential for long term paid work if they would be interested. Sadly neither. It is too plain for what we are looking for. hi, I'm a little confused about what you're looking for, you want a funky or grunge design? Hi Touhid, it is a small project. We are happy with the price for now. Thanks.